As is made explicit by its Latin translation, the quadriceps femoris (L. quattuor, four ; caput, head ; femoris, femur.) literally means the four-headed muscle of the femur, or thigh. The vastus intermedius is not visible in this image because it is located deep to the rectus femoris. See the vastus intermedius here. The four heads of the quadriceps femoris – or simply the quadriceps – include the following: rectus femoris, vastus lateralis, vastus intermedius and vastus medialis. The primary function of the quadriceps is to perform knee extension. The quadriceps femoris is classified as part of the anterior compartment of the thigh. The vastus medialis marks the medial border of the quads, which is abutted by the sartorius and adductor longus. The vastus lateralis sets the lateral boundary of the quads, which borders the IT band. The rectus femoris and vastus intermedius are both approximately in the center of the thigh, between the vastus medialis and lateralis. The rectus femoris, however, lies superficial to the vastus intermedius. As such, the vastus intermedius is completely covered and is therefore hidden from the surface anatomy view of the anterior thigh. All quadriceps heads originate from different points on the proximal femur, except the rectus femoris which arises from the pelvis. They all insert on the knee cap and tibia via the quadriceps tendon. The fiber orientation is between the different heads of the quadriceps. The vastus lateralis and medialis have oblique-oriented fibers that run inferomedially across the width of the muscles, creating unipennate muscle architectures. The rectus femoris also has an oblique fiber orientation, but the fibers run inferolaterally in opposite directions, away from the midline of the muscle. This gives it a bipennate architecture. The vastus intermedius has a parallel fiber orientation, with its fibers running straight down to create a fusiform muscle shape. Note: The table below only includes direct quadriceps exercises. Some of these exercises are also considered direct gluteus maximus exercises. Similarly, many other gluteus maximus exercises work the quadriceps indirectly. Quadriceps strain: While not nearly as prevalent as an adductor (groin) or hamstring strain, a quadriceps strain is still a relatively common occurrence. It is most likely to happen while kicking in sports like soccer (aka football), martial arts and rugby. The rectus femoris is most likely to be affected because it crosses the hip and knee joints, and thus can be stretched and loaded beyond its capacity. Like any muscle strain, the severity can range from a mild pull (grade 1) to a moderate tear (grade 2) to a severe full rupture (grade 3). Quadriceps tendinosis: Quadriceps tendinosis refers to the chronic degeneration of the common quadriceps tendon. It is typically caused by short/overactive quads combined with overuse of the quadriceps tendon from repetitive and/or excessively strenuous activities (e.g. 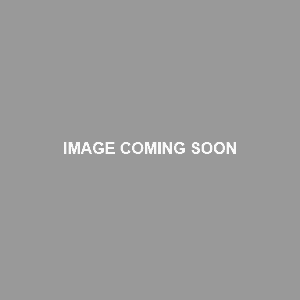 running, jumping, kicking) or exercises (e.g. squat, leg press, leg extension, lunge). It causes pain on and around the top of the kneecap, where the tendon inserts. While inflammation (i.e. tendonitis) may be present in the most initial stage, it soon disappears, leaving behind only the degenerative tissue and of course the pain. If you don’t address tendinosis, tissue degeneration will progress and pain will worsen, eventually becoming debilitating. Patellar tendinosis: The patellar tendon is basically an extension of the quadriceps tendon; it travels over the knee cap and inserts on shinbone. Patellar tendinosis refers to the chronic degeneration of this tendon, causing pain on the kneecap. The primary cause of patellar tendinosis is overuse of the patellar tendon during repetitive and high stress or high impact activities (e.g. jumping, sprinting, changing directions/side-stepping) or exercises (e.g. heavy squats) that involve knee movements or otherwise transferring force through the knee. Short and overactive quadriceps can also contribute to this problem, as can ankle or hip immobility. Degeneration and pain will become progressively worse if the problem is not addressed. ACL injury: ACL injuries are seen at much higher rates in those with short/overactive quads – particularly those who also have an anterior pelvic tilt. This increased risk of injury occurs because too much stress is put on the front of the knee due to the straight-knee posture associated with anterior pelvic tilt. This makes the ACL particularly susceptible to injury during lower body activities involving sudden changes in speed or direction (e.g. rapid deceleration from running, landing a jump, quickly changing directions while running). Patellofemoral syndrome*: While the quadriceps, as a whole, is typically short and overactive, sometimes there is an imbalance between the different heads of the quadriceps muscle. The most common imbalance seen within the quadriceps is weakness and inhibition of the vastus medialis compared to vastus lateralis (side note: this imbalance may develop because the vastus lateralis is naturally larger than the medialis; also, the vastus medialis is only fully activated in the final degrees of knee extension range of motion, which some people may stop short of). It is thought that this imbalance can cause, or at least contribute to, patellofemoral syndrome. Patellofemoral syndrome refers to knee pain caused by the underside of the kneecap rubbing against the thigh bone. This bone-to-bone contact results from poor kneecap stability, which is ostensibly caused by the vastus lateralis overpowering the vastus medialis and pulling the kneecap outward. *It’s important to point out that this syndrome is often caused by overall weakness of the quads, meaning the quadriceps muscle as a whole may not be short and overactive, but instead weak and inhibited (though, even when this is the case, there is usually still an imbalance between the vastus lateralis and medialis). Additionally, there are other potential causes or contributors to this syndrome, including weak hip abductors (i.e. gluteus medius), weak hip external rotators/extensors (i.e. gluteus maximus) and imbalances causing excessive foot pronation, just to name a few things. If you have short/overactive quadriceps, the following information may prove useful in correcting this imbalance. Start doing soft tissue release techniques and stretches for the quadriceps. Understand that quadriceps stretches only actually stretch the rectus femoris, since it crosses the hip joint as well; the other three heads physically cannot be stretched because the knee can only bend so far. This being the case, it is all the more important to perform soft tissue release on the quadriceps to address all heads of the muscle. You should also release and stretch your hip flexors. Reduce your training volume on quad-dominant exercises. Completely avoid isolation quadriceps exercises (i.e. leg extension variations). Also, avoid any direct hip flexor exercises (e.g. leg raises, sit ups). Increase your training volume on hip-dominant exercises (e.g. deadlift, glute bridge). The goal is to decrease quadriceps work while increasing hamstrings and glutes work, since the hams and glutes are inhibited by the quadriceps and hip flexors. Be conscious of your posture. Avoid standing with your knees fully locked out. Instead, stand with “soft knees,” meaning your legs should be straight but your knees should have a very slight bend. I’ve found that the key to doing this is keeping the glutes activated. Use this “soft knee” posture when you’re performing standing exercises like the overhead press or barbell curls. Also, avoid sitting for long periods of time; the more you sit, the more the rectus femoris and the other hip flexors (e.g. iliopsoas) will become overactive and shorten. If you have to sit for long periods of time, try to stand up at least one or two times every hour, even if only for a few seconds. If you have lower crossed syndrome, then your short and overactive quadriceps are only one part of a more complex problem. Therefore, the information above will only fix part of the problem. Please read how to correct lower crossed syndrome (article coming soon) for a comprehensive guide to fixing all aspects of this postural distortion pattern. It is often recommended to follow R.I.C.E. therapy (rest, ice, compression, elevation) for a couple of days. This should be enough time for you to get back to training your lower body, with appropriate modifications. Avoid anything that aggravates the injury, which generally means using lighter weights and doing exercises that focus more on the glutes and hams than the quads. To speed up recovery, light foam roller exercises on your quadriceps may help; it would be optimal to have a professional perform some type of soft tissue manipulation therapy on the muscle as well. For severe strains, doctors may prescribe pain medication and implement an advanced treatment protocol, which can include surgery in some cases. Please refer to how to treat muscle strains (article coming soon) for more information on this topic. If you simply want to build bigger and stronger quadriceps, then the following training advice is catered to you. Increase training volume or training frequency on quad-dominant exercises. Replace hip-dominant exercises with a variation that is more quad-dominant, when it’s practical to do so. For example: front squats instead of back squats, high bar instead of low bar squats, conventional deadlifts instead of sumo deadlifts. Although you generally want to train the quadriceps more, there’s no need to isolate the quads completely with leg extension machine exercises. First off, they are less conducive to strength and hypertrophy gains than compound quadriceps exercises – not to mention they don’t really even train the rectus femoris. Secondly, they may increase the risk of short or long term knee injury due to the shear stress placed on the knee joint. In my mind, the risk outweighs any potential reward for this exercise. Now that being said, there likely is some utility for leg extensions as a way to warm up the quadriceps, but only if using very light weight (i.e. weight that you could lift for 25+ reps). Of the four heads of the quadriceps, the vastus medialis is the one that is most often weak and underdeveloped. This may be partially due to the fact that it is the smallest quadriceps head. The biggest factor, however, is that it only becomes fully active during the final 2o to 30 degrees of knee extension. Therefore, if you make the all-too-common mistake of stopping before completing the full range of motion on leg exercises, your vastus medialis will eventually become weak and inhibited relative to the rest of the quadriceps. Therefore, I strongly recommend making it a habit to use full range of motion on leg exercises. This doesn’t mean violently locking out your knees and potentially going into hyperextension, but you should complete full knee extension so your legs are straight at the top of each rep.
On average, the quadriceps are approximately one-half slow-twitch muscle fibers and one-half fast-twitch muscle fibers. However, this muscle fiber type composition ratio can vary widely in either direction; some people naturally have quadriceps consisting almost entirely of slow-twitch muscle fibers, while others have mostly fast-twitch fibers. And as with all muscles, the quads’ muscle fiber type composition can change over time, depending on if and how they are trained. The uncommonly wide natural variation of fiber type composition seen with the quadriceps may be why some people only seem to be able to build up their thighs with high rep/lighter weight squats (e.g. 20 rep squat sets), while others seem to have no problem packing on size with a few sets of heavy weight/low rep squats (e.g. 1-3 rep sets). However, assuming your quads have an average slow-twitch:fast-twitch ratio, or if you’re unsure, your best bet for building strength and size is to use moderate to heavy weight for moderate to low reps (e.g. 3-10 rep sets) on quadriceps exercises. See how that works and adjust if necessary. Remember, there’s also a back part of the thigh – You know, that thing called the hamstring. It’s easy to forget about the hams since you can only see them in their entirety by taking pictures/video or getting creative with mirrors. Whereas, you just have to look down to see your quadriceps in all their glory. However, if you want a strong lower body, balanced thigh aesthetics and good posture, then I strongly suggest you train the hamstrings as needed to keep the quads and hams proportional. Even if your quadriceps aren’t excessively short, releasing them can only help. It’s great before workouts to get rid of any potential restrictions that might otherwise limit your mobility on leg exercises. Doing soft tissue work post-workout lends itself to better recovery, as it allows you release any tension in the quads built up from training. Using a foam roller on the quads is great, especially if you’ve never used any soft tissue release techniques before, but my personal favorite is to lay my quad on a lacrosse ball and really dig into to tender spots (it hurts so good :-D). I am under the impression that the primary function of the quadricep femoris muscles is knee extension, not knee flexion. Would this be correct? D’oh! Thanks for catching that mistake/typo. Yes, it’s most definitely knee extension. I changed the page to reflect that. Love this info about patellofemoral symdrome. 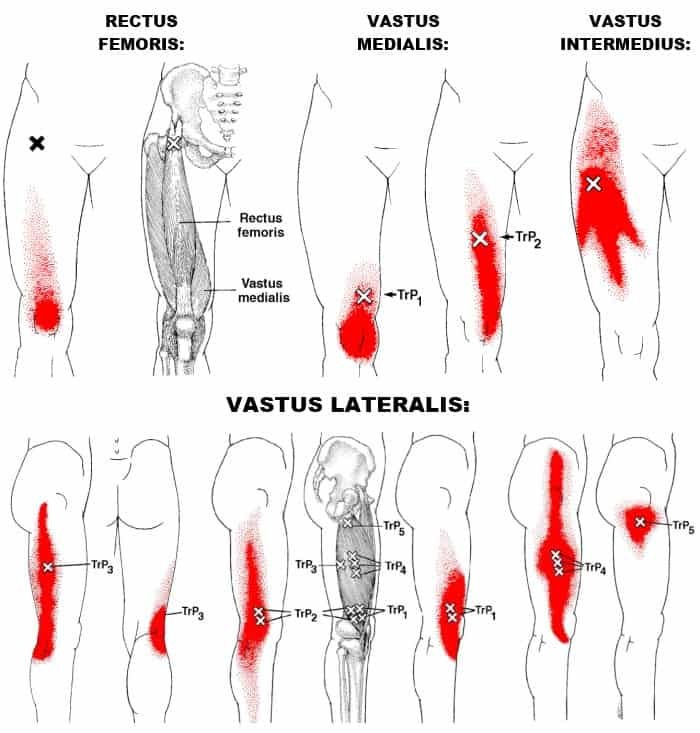 Please, would you tell be some exercises to built the vastus medialis to correct the inbalance between vastus medialesis and lateral? This info is so needed for my.This will help me so much! Thanks, you actually might want to check out this article by Chris Beardsley. It’s very thorough and with references to many studies concerning the VMO. Basically, it lays out the evidence that there’s likely no leg exercises (including variations of hip width/angle, foot/ankle angle, ROM, etc.) 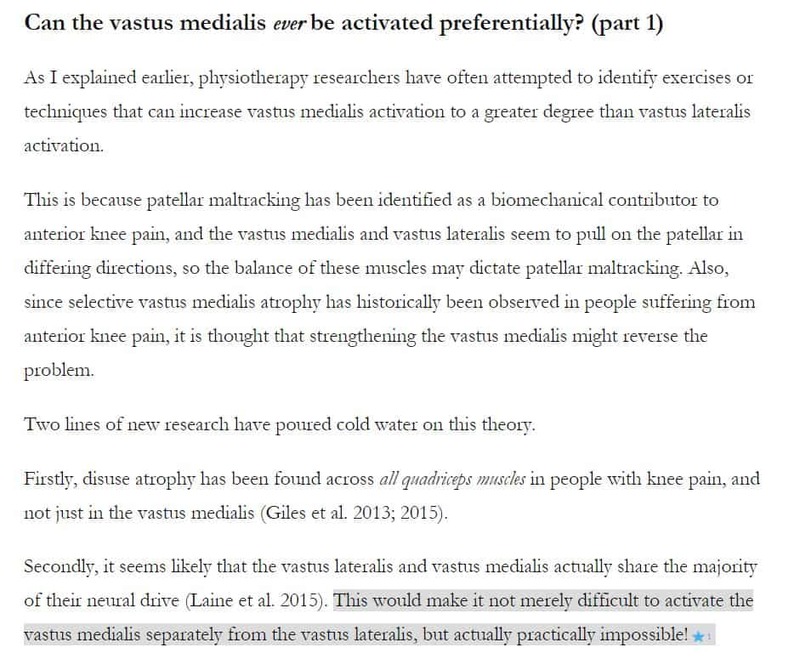 that significantly emphasize the vastus medialis over the vastus lateralis. So, based on that, it may be overall quad weakness that needs to be addressed–Or at least that would be a better hypothesis than the VMO one. And even if you wanted to target the VMO more, it may actually be physiologically impossible to do so as the VMO and VL seem to share most of their neural drive. Thanks for bringing up this question, as I was able to learn something new myself.